An art installation at historic Celilo Falls has been put on hold due to opposition from the Yakama Nation. The Confluence Project, a nonprofit that commissioned acclaimed artist Maya Lin to create a series of works around the Northwest, announced Friday, Feb. 8, that it is putting the sixth and final project in the series on hold while talks continue with the Yakama Nation and other stakeholders. 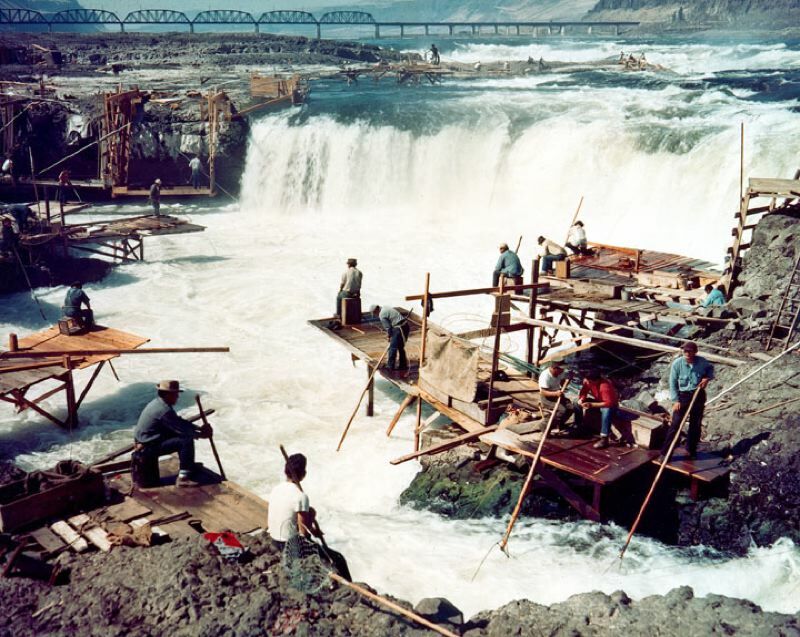 Celilo Falls, on the southern banks of the Columbia River about 13 miles east of The Dalles, was a village near a tribal fishing site that existed in various forms for 15,000 years. It was the oldest continuously inhabited settlement in North America until it was buried under water in 1957 when the U.S. Army Corps of Engineers built The Dalles Dam and hydro power station. oppose any development that encourages public access to the site and asked that the park there be decommissioned. The Army Corps told the Confluence Project it would only move forward with the park redevelopment with the support of all four tribal groups. Lin has designed an interpretive pavilion, a sculptural relief of the Columbia River and an elevated walkway inspired by traditional fishing platforms used by indigenous people along the river. Lin is best known for her design of the Vietnam Veterans Memorial in Washington D.C.
Other Confluence projects are located at Cape Disappointment State Park, the Vancouver Land Bridge, The Sandy River Delta, Sacajawea State Park, and Chief Timothy Park.